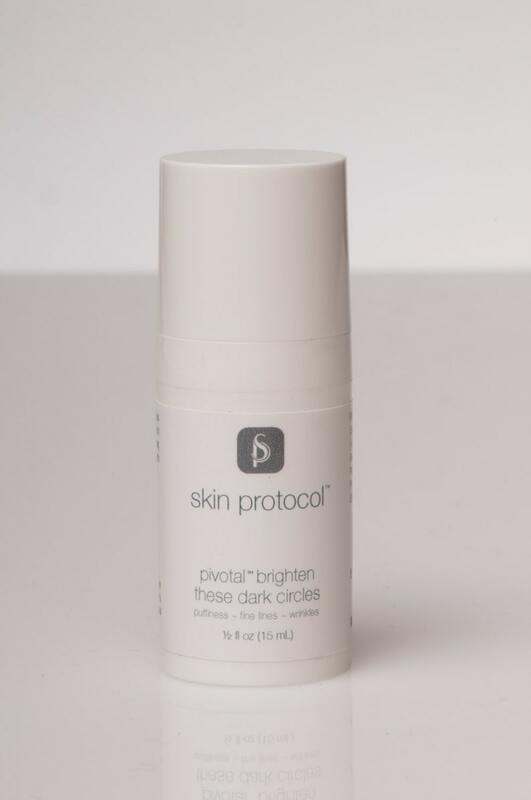 Pivotal Brighten These Dark Circles™ is the solution to dark, tired crescents or unsightly puffiness under the eyes. A complex of rice bran protein, and hyaluronic acid targets puffiness and discoloration producing a 42% reduction of dark circles, 58% reduction of puffiness, and 48% improvement in skin smoothness and texture in clinical subjects. The immunohistochemistry analysis of skin sections has proved that oxidoreductases significantly stimulates synthesis of Collagen-I, -IV, -VII, -XVII and Nidogen-I proteins. While these proteins of the dermis and dermal-epidermal junction usually decrease with age, hyaluronic acid rejuvenates the dermal structure and tends to make aging skin behave like young skin. DIRECTIONS: Gently apply day and night a small amount to finger and gently tap into clean skin on affected area surrounding the orbital bone. For all skin types. Results will vary. For fine lines and wrinkles use under Eye + Throat Cremerum™ from The Gold Line. For normal to oily eye areas use under Bisabolol De-Puffing Eye Gel™ from The Sapphire Line. → Preview refillable sizes are available. → All formulas are highly concentrated, so a little goes a long way! Interesting natural oils to matte feel. Nice - hydration without oiliness - 3 drops only.